Earrings + Wine – New Spring/Summer Limited Edition Collection Launch (don’t miss it). Since we’ve been focussing on sterling silver wedding rings for the last few years, I haven’t been spending much time designing other jewellery. But… when I decided to design these earrings to celebrate the 10-year anniversary of starting Epheriell, I got bitten by the shiny bug again! And hence – I’ve created a small, Limited Edition collection of NEW Urban Eco Earring designs. Yes – if you’ve been around a long time, you may remember that I used to sell a lot of this style – our regular earrings with beads in various colours – but I removed them when I did a product cull quite a few years ago. It was hard to let go of them then, but it was the right choice. However… I really, REALLY wanted to make some again! And so, I’ve decided to make a small, Limited Edition collection of these Urban Eco Earrings twice a year – for Spring/Summer and Autumn/Winter. This Friday, I’m celebrating the launch of the 2018 Spring/Summer collection over on Facebook with a Wine + Earrings event! I’ll be showing you the 5 designs, as well as giving those who attend live a little discount code to use for 24 hours on these new earrings. As I said, these are Limited Edition – that means I will only ever make 10 pairs of each design. AND, if you attend live, you’ll also have the chance to customise your design! 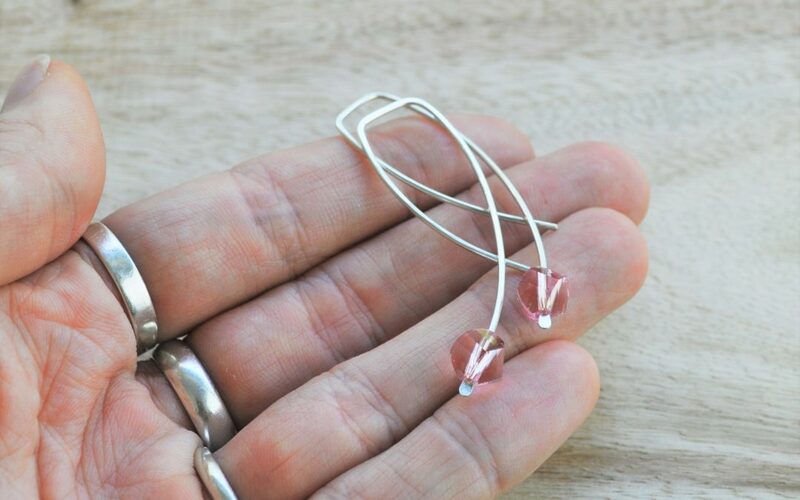 That means, if you want a certain bead colour on a different shape of Urban Eco Earring (or, you’d like your earrings to be oxidised rather than silver) you can request that and I’ll make it happen if the design works! Come and join me with a glass of something delicious, and do a bit of Christmas shopping for someone you love (perhaps even yourself?). RSVP to the Launch Event!